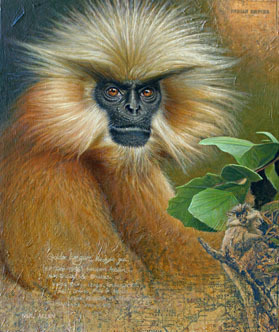 Above: Oil portrait of the rare Golden Langur one of the worlds most endangered primates native to Northern India and Bhutan, for a Portugese private collector. 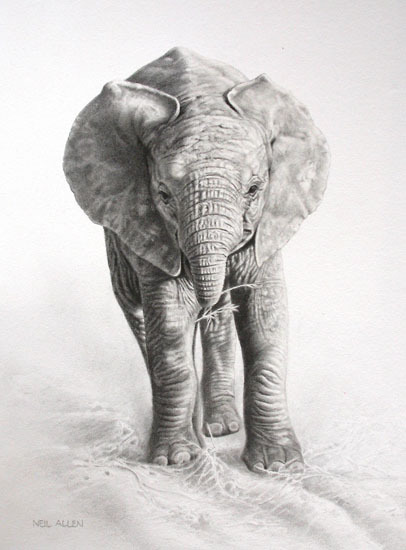 Above: Baby elephant pencil drawing. Neil Allen is available for private work / commission. Shown here are some examples of special commissions "tailor-made" to the clients brief. If you would like to commission Neil, then feel free to contact him and discuss your ideas. Above:: Mourning Wheatears, one of several Oil paintings for the Sultanate of Oman. 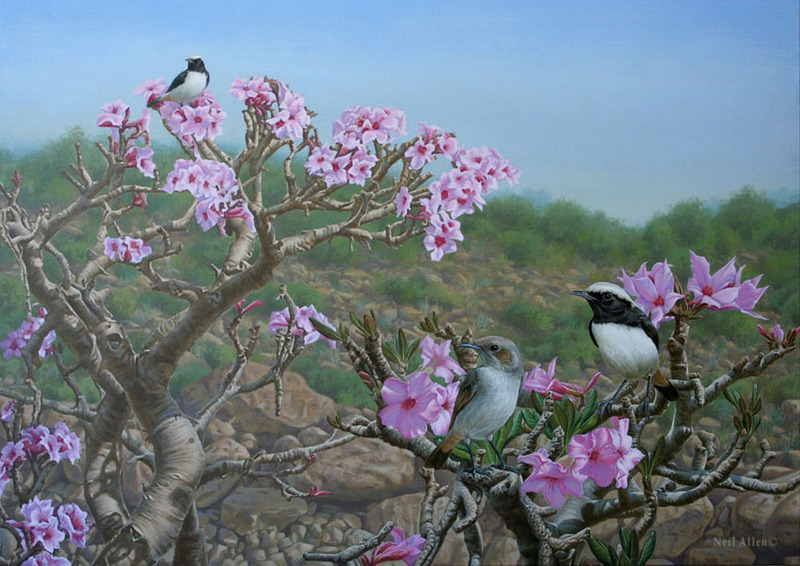 Shown are the Male and Female birds, perching on the Desert Rose "Adenium obesum" in a Southern Oman (Dhofar) environment. Updated 11/09/2013 © Neil Allen 2010.